Best of the year for me. Megan Keeler died years ago - or so everyone believes. In fact, she disappeared to escape from her sadistic husband, Glenn. When dismembered body parts were found near their home, Glenn was convicted of his wife's murder. And Megan, terrified for her unborn child's safety, never came forward with the truth.... Since then, Megan has built a new life in Seattle for herself and her son, Josh. She's never forgotten that she's a fugitive, and Josh knows nothing about her past. But someone does. There are anonymous emails and threats, just as she learns Glenn has been released from prison. It's the Saturday of Memorial Day weekend, May 23rd, and the small town of Promise Falls, New York, has found itself in the midst of a full-blown catastrophe. Hundreds of people are going to the hospital with similar flu-like symptoms - and dozens have died. Investigators quickly zero in on the water supply. But the question for many, including private investigator Cal Weaver, remains: Who would benefit from a mass poisoning of this town? Meanwhile, Detective Barry Duckworth is faced with another problem. A college student has been murdered, and he's seen the killer's handiwork before - in the unsolved homicides of two other women in town. Suddenly, all the strange things that have happened in the last month start to add up. Bloody mannequins found in car "23" of an abandoned Ferris wheel, a fiery, out-of-control bus with "23" on the back, that same number on the hoodie of a man accused of assault. The motive for harming the people of Promise Falls points to the number 23 - and working out why will bring Duckworth closer to death than he's ever been before. 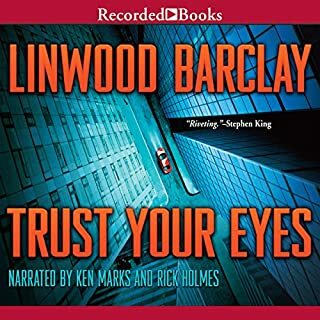 Mr. Barclay uses a clever technique in this Promise Falls series, where each entry features a different character, who gets to speak in the first person. First, out-of-work newspaper reporter David Harwood (whom we learned about in “Never Look Away”) tells the story from his point-of-view in “Broken Promise.” Then, private investigator Cal Weaver (from “A Tap on the Window”) picks up the story in “Far from True.” Finally, police detective Barry Duckworth (introduced in “Too Close to Home”) tells us about Promise Falls’ poisoned-water mystery here in “The Twenty-Three.” You will like Barry Duckworth. He has smarts, intuition, diligence … and an inordinate sweet-tooth. What’s not to like? In each of the Promise Falls series so far, the publishers used two narrators: one to voice the featured character, and one to narrate the rest of the story. “The Twenty-Three” has the best pair of narrators in this series, in my opinion. I especially liked Richard Poe’s depiction of Detective Barry Duckworth. Poe believably conveys not only Duckworth’s investigative thought processes, but also his — funny! — battle with doughnuts; and Poe capably voices the other characters with whom Duckworth dialogues. Bottom Line: If you like mysteries, then buy this audiobook … but first listen to its prequels in the Promise Falls series. This is a good story but somehow not enough ... too slow. The search for the person(s) who poisoned the town's water supply kept the story moving towards that resolution. However, while the path to that resolution had good twists and turns, I found a good bit of it boring. The unexpected twist at the end was very surprising and did earn the story some redemptive points, but not much. The plot centers around finding out who had a motive that drove them to harm the people of Promise Falls ... who was as mad as hell and couldn't take it anymore? and to get even they poisoned the town's water supply. Investigators were on the hunt and plot twists ensued. The story was mostly about who died as a result of the poisoned water. I lost interest and didn't care anymore. The narration was significantly the most irritating aspect of this listen. The narrators performed in a breathless, on the verge of hysteria, like they were doing scenes from the long ago TV show, "Dragnet." Frustrating, irritating and annoying ! ! I am SO angry. Another letdown. 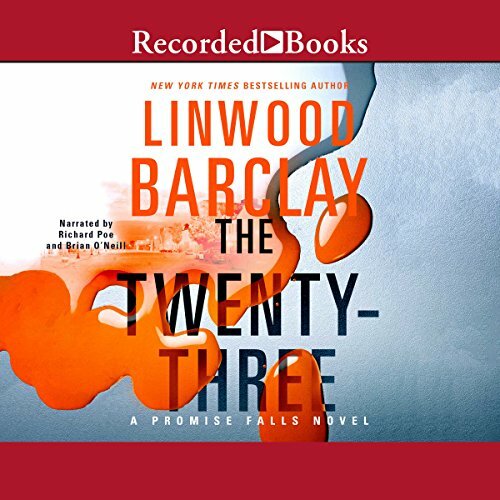 Linwood Barclays was one of my favorite writers until he apparently jumped the shark in Promise Falls trying to wring every bit of juice out of a dead, rotten storyline. Everything I thought he knew about crafting a story is gone. He took several implausible story lines with forgettable undeveloped characters- threw them all in a bowl and persed it out in three books- non of which is a stand alone. When I got to the end of the third book- GUESS WHAT??! More loose ends of the least interesting storyline. I'm done with this author. I feel betrayed. Not if they haven't read book one or two. Most authors add refreshers in the story so readers can get reacquainted with the characters but this one really didn't. Frequently I had to go research to rememeber who was who. David has always been my favorite and I was really disappointed with how they left his part of the story kind of a mystery at the end. Have you listened to any of Richard Poe and Brian O’Neill ’s other performances before? How does this one compare? These two narrators are excellent. I really enjoy listening to any book they narrate. 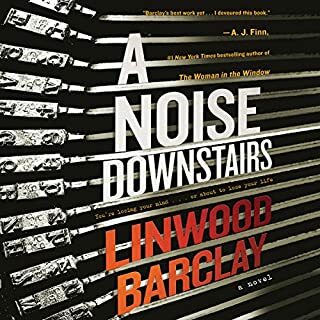 I love Linwood Barclay and have listened to every one of his books but this one left me with so many questions and from I understand, this was the end to the series. To those who have listened to book one and two, I encourage you to listen to this one too. The end of the book just felt rushed and the last line of the book was just stupid. I think the readers deserved a more complete ending, that's all. I LOVE the Characters In this Series! 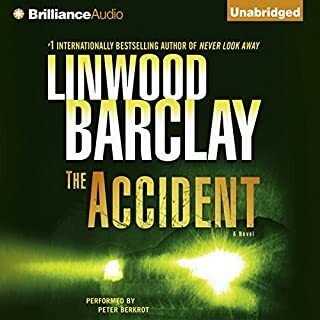 I’ve just discovered Linwood Barclay in the last month. After listening to a few books he’s been elevated to my favorite Author list. He’s greatest gift is creating characters in such a way that the reader’s emotions are consistently being multiplied. You hate a character one minute, then you love the character in the next scene/book. They all have human flaws, nobody is overly perfect The narration on nearly all the books I listen to so far are very good. The narrators seem to change a lot in this series but all have done a great job overall. I highly recommend all the books by this author! 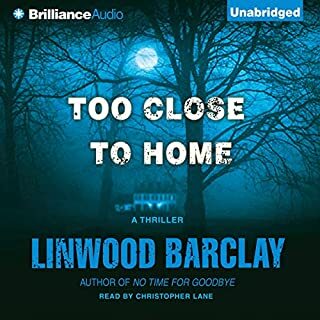 I’m Obsessed w/Linwood Barclay Books! The Twenty-Three is Part 3 in a series of 3 books 1) Broken Promise 2) Far from True 3) The Twenty-Three. There is a previous book titled Never Look Back, although not part of this series, provides a tiny bit of back story on the town of Promise Falls, however, it really isn’t a must read. 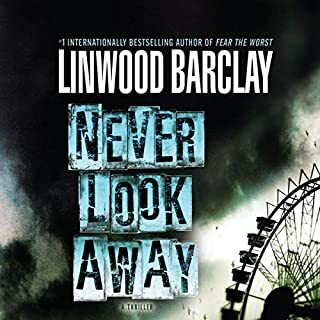 I’m obsessed with Linwood Barclay books! I’ve listened to all that are available on Audible, and I’m not so patiently standing-by for the next New book! The Twenty-Three is narrated by Richard Poe &amp; Brian O'Neill , both are outstanding! What disappointed you about The Twenty-Three? Too many story lines not necessary for the story with no closure. Author introduced so many characters right off the bat you couldn't keep them straight. 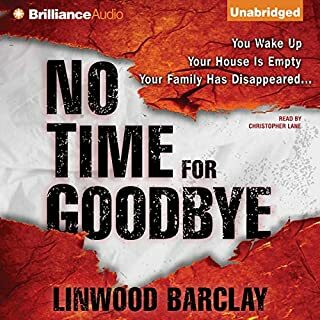 Would you ever listen to anything by Linwood Barclay again? What three words best describe Richard Poe and Brian O’Neill ’s voice? I thought the recording malfunctioned the way it ended. I did a rewind and checked the chapters. Nope, author just cut it off. It feels like the story took a turn somewhere and just dropped of a cliff. It leaves a lot of questions unanswered. Feels like the author got bored and finished the book in a hurry. What did you love best about The Twenty-Three? The intertwining of the character's stories, with really creative plot lines. Assumed the reader had read the novels in the Promise Falls series, especially the previous one, "Far From True". The author spent way, way, too much time catching the reader up, making the story plod along at times, while in the moment, it moves at breakneck speed, like a Saturday Afternoon Serial. I, like many readers, I'm sure, read books in their series order, so I do not need to be told the underlying story over again, let's just get on with completing the story arc. I.E. - We know how David met Sam, yet Mr. Barclay has to relive the entire sequence of events over and over. Just mentioning the shotgun would be enough of a trigger for me (no pun intended!). any scene with Barry Duckworth - love his character. Doughnut, anyone? I also love Crystal. Want a cup of coffee.... well, not so much! I love Mr. Barclay's work, and will continue to read his stories. I did find this book to be almost tedious at times, due to the author feeling the need to assume the reader either has no memory, or has never read a previous book in the series. I was just screaming some times at the player, "just get on with it". The narrators were great, especially Mr. Duckworth's character.